To the back. LG believes that as the size of smartphones has increased, it is only logical to place the physical buttons on the back instead of around the edges. 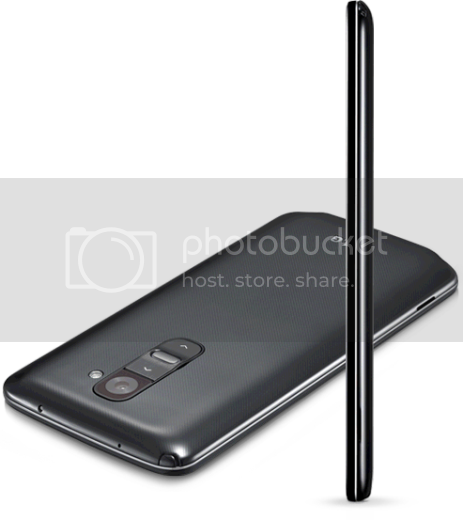 So by placing the volume rocker and power button at the back-directly underneath the camera, the LG G2 becomes more ergonomic. It remains to be seen if this new layout is acceptable or not with the masses. Judging by its specs, LG G2 is undeniably the powerhouse smartphone of the year. Let's look at what it has got to offer to prospective buyers. 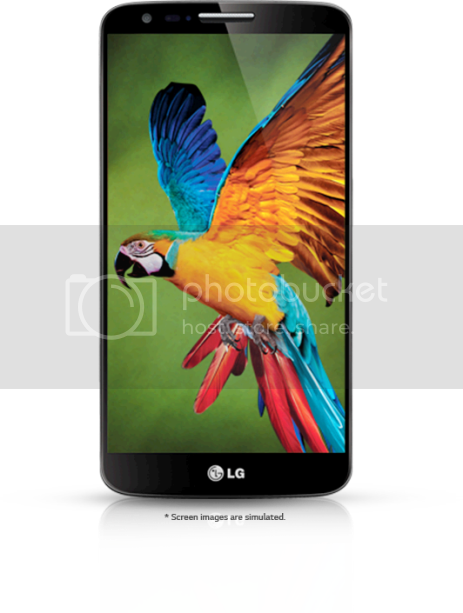 One will be astounded by the beautiful display on the LG G2. At a resolution of 1920x1080 with 423ppi, the sharpness, colour accuracy and clarity are unlike any other smartphone displays that you have seen before. The huge 5.2" inch full HD 1080 IPS delivers extraordinary graphics and sharp text with vividly true-to-life colours that will blow you away. Videos played look like true 1080p even on its screen, making it one of the best full-screen experience display. Gamers can expect to feast their eyes on beautiful graphics at its fullest detail. LG G2 has certainly one of the best camera on a smartphone featuring a 13MP Sony IMX135 Exmor Sensor. At 13MP and with 9-point autofocus, you can expect to capture all your priceless moments crisply, of high quality and full of details. You will even have Optical Image Stabilization (OIS) at your disposal to ensure you only capture stunning images and Full HD 1080 videos that are not "Shaky". LG has combined a simple UI with features that please both avid shutterbugs and casual photographers. Besides, if you are planning to buy LG G2, you will be happy to know that the camera features scratch-resistant sapphire crystal glass that can protect your lens for years. KnockOn-Instead of pressing the homekey...just knock. LG G2 is designed to be your ultimate productivity tool. LG has added some really nifty apps like QuickMemo, QSlide, and Slide Aside that allows to accomplish multiple tasks at once. With the long press of the volume up button or the quick swipe up from home, you can get instant access into QuickMemo to write your notes. By pulling down the notification tray, you can jump into a variety of QSlide apps that hover as mini apps over whatever you are doing. You can change its transparency to see through to your background task and even open more than one at a time. With Slide Aside, you can use a 3-finger swiping gesture while in an app to hide it off to the side. Up to 3 apps can be stacked up to the side, accessing them again with another 3-finger swipe. Seems like LG wants you to be a multi-tasker. LG G2 has one of the fastest processor to date. 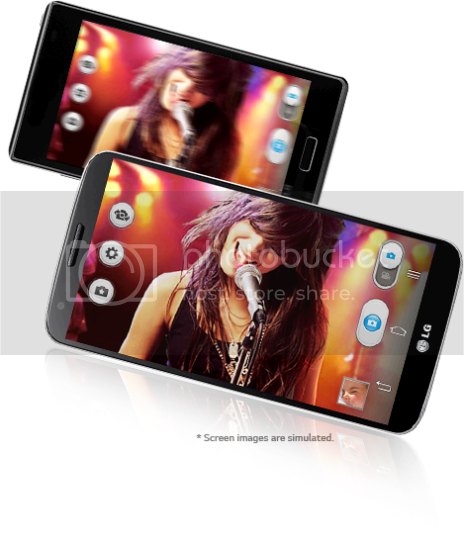 LG G2 comes with a slew of specs that will make you drool. Under its hood, you will have the latest quad-core Snapdragon 800 processor from Qualcomm clocked at a blazing fast 2.26GHz with an upgraded Adreno 330GPU. Then throw in the gargantuan 5.2" Full HD Display, 2GB of RAM, 13MP camera with OIS, 32GB of storage, 4G LTE and a whopping 3,000mAh of battery all meticulously fitted into its svelte frame of only 8.9mm thick...voila you have a superphone that few will come close to match for months (which is an eon in smartphone calender). 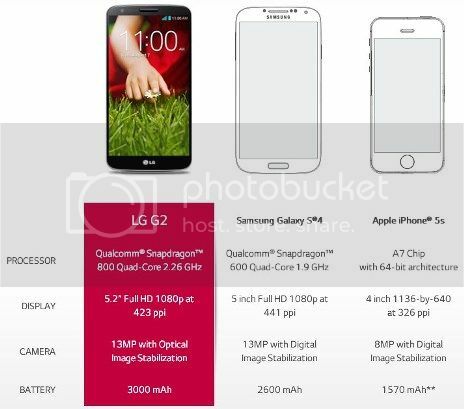 There is not a single doubt that LG G2 is on top of other smartphones at the moment, looking down at Samsung Galaxy S4, HTC One and even iPhone 5S. Thanks to its quad-core 2.26GHz Snapdragon 800 processor and 2GB of RAM, LG G2 performs unbelievably snappy and buttery smooth no matter what you are doing. G2 can multitask easily without any hiccup and it will be difficult for others to keep up with it...at least for a few months. 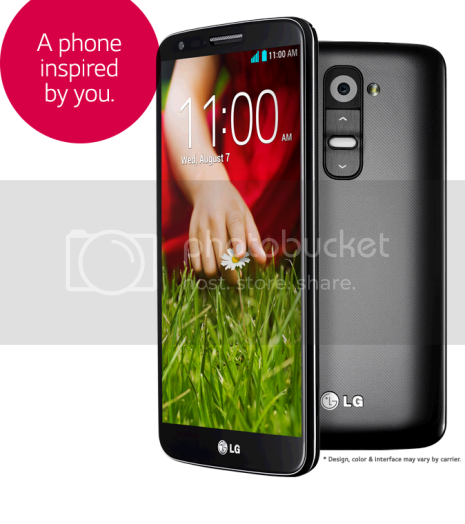 This latest superphone from LG has shown how much LG is trying to improve and innovate and they have succeeded. Let's see if Galaxy S5 can compete with G2 next year. As for now I believe the throne belongs to LG G2-King of Android 2013!